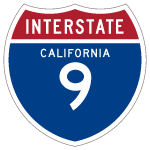 Interstate 9 is the designation proposed for the California 99 corridor between Mettler (near Wheeler Ridge) and Stockton in California.7 Upon entering Stockton, Interstate 9 would turn west along California 4/Crosstown Freeway to meet Interstate 5, its proposed northern terminus. The California 99 freeway between Stockton and Sacramento is not being considered for inclusion in the Interstate 9 corridor, and will not be upgraded to Interstate standards. Interstate 7 is another potential designation being considered for the California 99 corridor. With the publication of the Route 99 Corridor Master Plan, the recommended designation for California 99 is more likely to be Interstate 9. However, several other sources (including Wikipedia, The San Francisco Chronicle, and other media) reported that California 99 might become Interstate 7. However, none of these cited an official source confirming California 99 will be Interstate 7. So, the Route 99 Corridor Master Plan is about as close to official as we have found that the new designation will be Interstate 9. In the late 1950s, when the original Interstate System was designated. 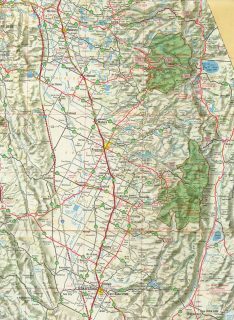 In the mid-1980s, when Interstate 5 was reconfirmed as the primary Interstate route through the Central Valley. Currently, discussions continue on elevating California 99 to Interstate status. Since there already is an Interstate 99 in Pennsylvania, the next best numbering for the route would be Interstate 9. Interstate 7 was a designation considered practical for the California 99 corridor by an article that appeared in Roads and Bridges magazine,8 but that apparently has been discarded in favor of Interstate 9. However, California 99 faces formidable obstacles to becoming an Interstate, especially the cost to bring the highway to Interstate standards. The corridor must serve long distance interstate travel, connecting metropolitan areas and industrial centers that are important to defense and economic development. The route must secure final environmental approval and not duplicate other interstate routes. Routes must also directly serve major highway traffic generators and connect to the Interstate system at each end. The route must meet Interstate Highway standards, or a formal agreement must be reached between the state and federal government to construct the route to such standards within 12 years. 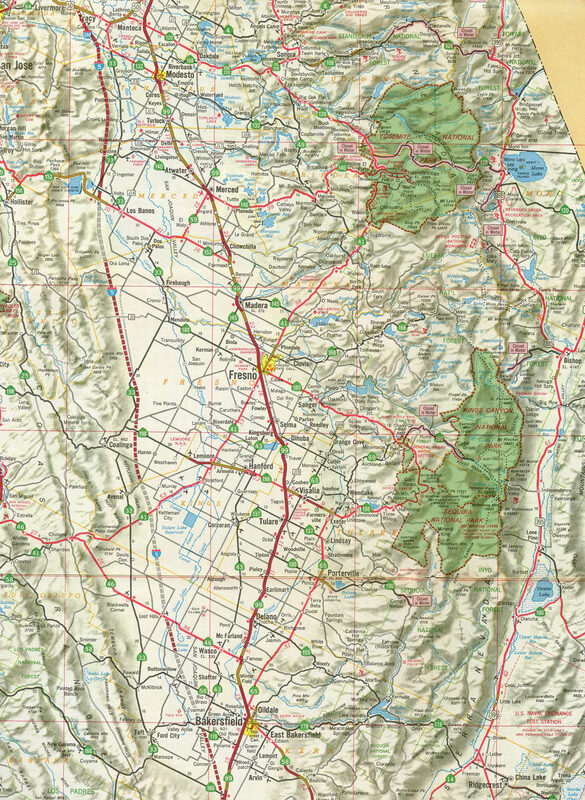 California 99, which follows historic U.S. 99, connects the major cities of the Central Valley, including Bakersfield, Visalia, Fresno, Merced, Madera, Modesto, Manteca, Stockton, Lodi, and Sacramento. All of these cities, excepting Stockton and Sacramento, are avoided by Interstate 5. A full list of the deficiencies can be found at the Caltrans Interstate 99 Designation Issues web site. Potential interchange closures to address the spacing issues are outlined here. According to the legislative analysis, “SCR 17 (Costa), Resolution Chapter 84, Statutes of 2001, requests the Department of Transportation (Caltrans) to report by January 1, 2002 to the Legislature on ways to improve traffic congestion and transport on SR 99 between Bakersfield and Sacramento. The report was completed and included several recommendations for improvements to SR 99. The report also identified $675 million worth of rehabilitation, operation and safety improvements that were necessary for the corridor.” Not considered in this cost is the re-signing of California 99 as Interstate 9. In early 2004, Fresno Mayor Alan Autry and Fresno County Supervisor Bob Waterston brought the idea forward to make California 99 into a toll road. The two officials planned for toll booths at either end of the route through the Central Valley (probably just north of the Grapevine and somewhere near Sacramento), and the tolls would provide funding for needed upgrades along California 99. 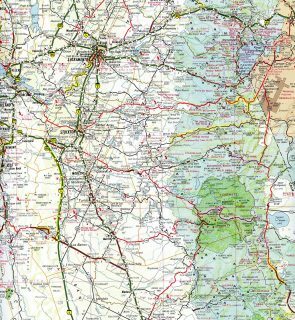 In a Fresno Bee article, Waterston commented about tolls: “When you bring this up to people, first of all there’s a shock, and then it’s ‘Why not?’ You know, they do it in Connecticut.” 6 It is not clear whether this proposal was vetted through the Fresno County Council of Governments or with other regional planning agencies in the Central Valley. A toll road remains a possibility, but it is not at the forefront of possible solutions. California 99 was the main route between the Grapevine and Stockton prior to completion of Interstate 5. I-5 was fully completed between the SR 99 split and SR 4 in Stokcton on September 30, 1972. The California 99 freeway north from Stockton doubled as Temporary Interstate 5 until 1979, when the last sections of I-5 opened to traffic from north of Stockton to near Elk Grove. Much of this activity began in the city of Fresno, often referred to as the largest city in the country not served by an Interstate highway. Interstate 66, proposed in 1991 as a new east-west, cross-country Interstate corridor, was the first course of action for Fresno politicians to bring the city onto the Interstate Highway System. However, Interstate 66 would have traveled over the Sierra Nevada Mountains, perhaps via Kings Canyon and/or Sequoia National Parks to enter Fresno via California 180. Environmental concerns seemed to outweigh the benefit of Interstate 66, so the concept of this route gained little momentum in Fresno. By Fall 2004, Interstate 66 was actively planned for construction in Kentucky but virtually nowhere else. However, Fresno politicians continued in their quest to bring Fresno into the Interstate Highway System by looking at other avenues, specifically, the California 99 freeway. On June 11, 2003, the “California Report” segment on KQED, San Francisco’s National Public Radio station, indicated that there is a strong desire in Fresno to put the city onto the Interstate Highway System.4 Fresno is the largest city in the United States not served by a single Interstate Highway, and there is a sense of prestige that would be created by converting California 99 into an Interstate. Although local politicians support such a new Interstate, there is a cost associated with converting the highway to Interstate standards and changing the signs. One of these politicians was Assemblyman Bill Maze, who brought the issue to the California legislature in July 2004. At that time, Assemblyman Maze crafted Assembly Joint Resolution (AJR) 63, “Relative to State Highway Route 99,” a measure that would memorialize the intent of the legislature of California (Assembly and Senate) to advise the President and Congress of the United States a request that they “enact legislation to include State Highway Route 99 in the Interstate Highway System.” 1 The resolution was adopted by both houses of state government and filed with the California Secretary of State on August 19, 2004. Notably, the resolution requests either (1) the federal government exempts California 99 from fulfilling Interstate standards or (2) the state of California is exempted from financing any costs to upgrade California 99 to federal Interstate requirements. An improved California 99 corridor would bring environmental benefits, including the reduction of truck and auto congestion, which in turn would lead to the reduction of air pollution, which is a severe problem throughout the Central Valley. 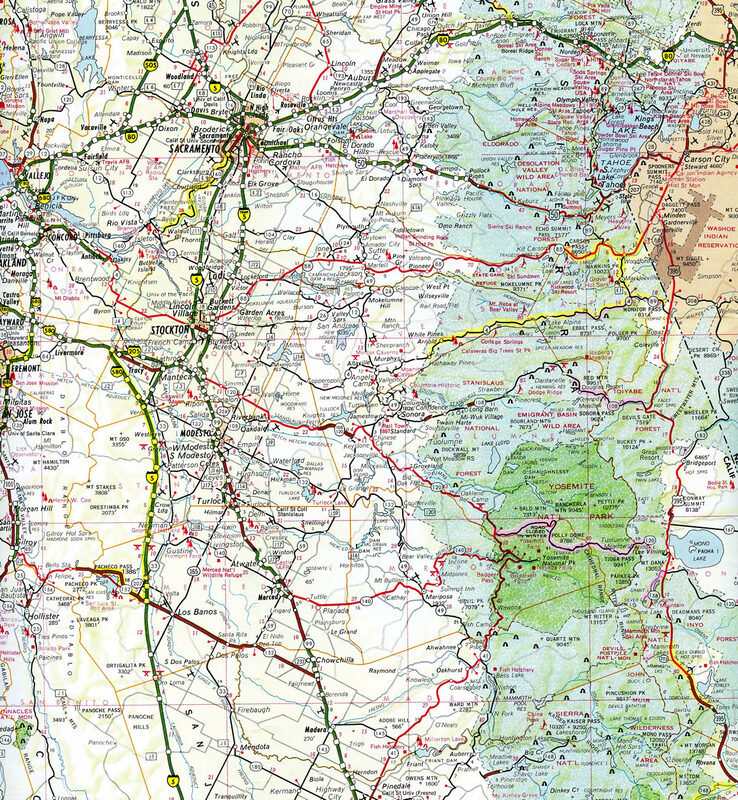 On August 10, 2005, the SAFETEA-LU added California 99 from Interstate 5 south of Bakersfield north to Sacramento as High Priority Corridor 54.5 In addition, SAFETEA-LU designated California 99 officially as a future Interstate corridor, although it did not specify a numerical designation. SAFETEA-LU authorized a higher priority (yet unspecified amount) for funding general improvements to California 99 since it is a future Interstate corridor, but the appropriations package included several specific earmarks for the route. It is unclear how this action will impact the state’s plans for the route. The north end of Interstate 9 was proposed to tie into the multi-level interchange joining Interstate 5 and California 4 (Ort J. Lofthus / Crosstown Freeway) in the city of Stockton. Another potential location for the northern terminus of Interstate 9 is the exchange connecting Business Loop I-80 (Capital City Freeway) and U.S. 50 in Sacramento. Representing the south end of what could be Interstate 9, California 99 separates from Interstate 5 north at a wye interchange (Exit 221) between Wheeler Ridge and Mettler. KQED, San Francisco’s National Public Radio station. “Nunes discusses Highway 99.” Visalia Times-Daily Local News, July 16, 2004. “Officials propose a Highway 99 toll road.” The Fresno Bee, February 1, 2004. Final Draft – Route 99 Corridor Enhancement Master Plan – note that this is a large PDF file. See also the Caltrans District Six Route 99 Master Plan Index. “Interstate 2000: Improvement for the Next Millenium.” Roads and Bridges, June 1997. Page updated April 6, 2016.